Unbeknown to many, Google has an investment arm called Google Ventures which provides funding to a number of startup companies. Latest figures indicates that it has total assets of around $1.5 billion (around £900 million) and nearly 60 startups have been funded to date. Some of them, like Nest, which was acquired by Google, are in the public eye, but most remain in the shadows until they launch an IPO or get acquired. Two of them, however, caught our attention because they operate very close to Google's core and one of them has started to attract the attention of the SEO community given its proximity to the search business of Google. RetailMeNot owns two of the largest coupon websites in the US and in the UK (Retailmenot and Vouchercodes) with a number of other similar websites in Germany, France and the Netherlands. A just-published analysis by SEO house Priceonomics found that RetailMeNot came on top of search engine result pages 70% of the time for nearly 300 "promo codes" and coupon related terms; hotly contested terms given that they are used by visitors to complete the buying cycle. 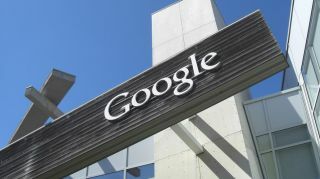 The company, which has raised $300 million in funding and filed an IPO for $230 million back in 2013, has put all its eggs in the same basket and many question its luck - especially in a market that is so highly dependent on Google. There has also been some controversy over the fact that RetailMeNot, being the last port of call for potential buyers, derives the bulk of its revenue (nearly $145 million or around £80 million in 2012) from the cookie-based affiliate model which pays the last visited website (which happens to be a coupon website most of the time). Hubspot is another online business backed by Google Ventures. It operates in the field of content marketing and is essentially a more elaborate and personalized version of a webhosting company, complete with bells and whistles, like dedicated marketing services and support. It's geared towards small and medium businesses who focus on "inbound marketing" - bringing in potential leads and customers - and do not have the necessary in-house skills or resources to achieve it. Given that there are about 10 million of them in Europe alone, this is a market that cannot be ignored. Where Hubspot has been attracting some controversy is that it provides SEM and SEO tools and services (some for free). Although perfectly legal, this makes Hubspot an uncomfortable Google bedfellow. That's because Google has been cracking down on a number of features - like guest blogging or link building using directories - that have often been promoted on and by Hubspot. Google Ventures, together with Sequoia Capital and Salesforce.com, invested $32 million (around £20 million) three years ago in Hubspot, which currently has more than 10,000 customers in 65 countries.